Relative newcomers to the stoner/desert rock scene, Argentina’s Iah offer astral enlightenment through hypnotic melodies that keep the listener engaged, even without words. Formed in 2016, the band took it’s name from the Egyptian god of the moon, which is appropriate given their expansive, mysterious tendencies. Their instrumental compositions mix post-rock, prog, doom and stoner elements into a heady formula that elevates the listener to another astral plane. Iah has two releases to it’s credit: a self-titled four-song album released in January of this year, and a two-song companion EP released in June. Though released separately, the two create a cohesive whole, and are meant to be heard together. The first release starts off with “Cabalgan los Cielos,” a solid composition that’s heavy on delay, sludgy riffing and spacey interludes. The band pays homage to classic stoner rock, notably Colour Haze, Kyuss and Karma to Burn, through hypnotic melodies and a rock solid rhythm section that keeps the interstellar guitar elements grounded. As you might expect, Iah can tend toward the jammier side of stoner rock, especially on “Ouroboros” and “Stolas.” That latter song ends with some surprisingly doomy melodies, ushering in “Eclipsum,” the release’s final, and heaviest, song. Unlike the other songs on this release, there’s no build up to this one. “Eclipsum” begins with a sludgy, head-bobbing wah-driven riff that veers off into an ambient passage before crashing back in at the end. 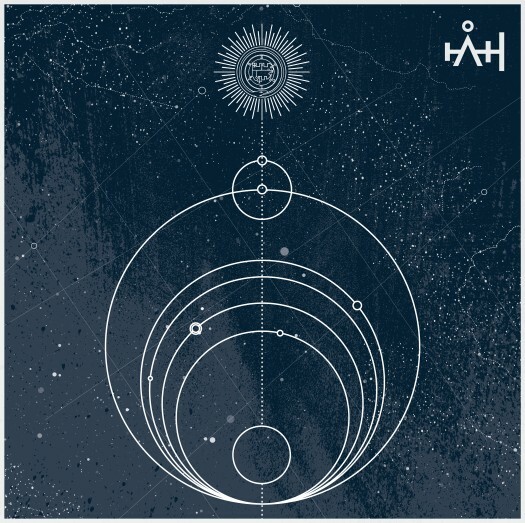 Iah gets heavier on the two-song EP, while also adding more structure to their compositions.The band is at its best on the final song, “Nuboj,” which reveal the band’s progressive and post-rock influences through a combination of straight-ahead heavy rock, soaring guitar melodies and Pink Floyd-style ambience. Overall these two releases serve as an impressive debut from this new Argentinian band.